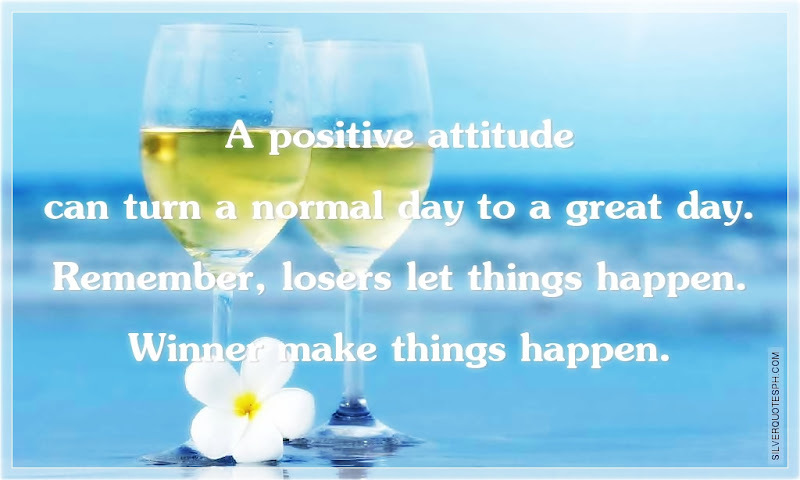 A positive attitude can turn a normal day to a great day. Remember, losers let things happen. Winner make things happen.